Hyundai is the country’s second largest car manufacturer after Maruti Suzuki and the credit is to be given to its good range of products consisting of hatchbacks, sedans and SUVs such as Hyundai Eon, Hyundai Santro, Hyundai i10, Hyundai i20, Hyundai Accent, Hyundai Verna Fluidic, Hyundai Sonata and Hyundai Santa Fe. Another very important fact about Hyundai is that it offers most of its models with diesel engines which pleases running cost conscious buyers as they can go for a diesel car, if not a petrol. In short the diesel engines are a hit in the industry and it is one of the reasons why Maruti is retaining the top spot since a long time. 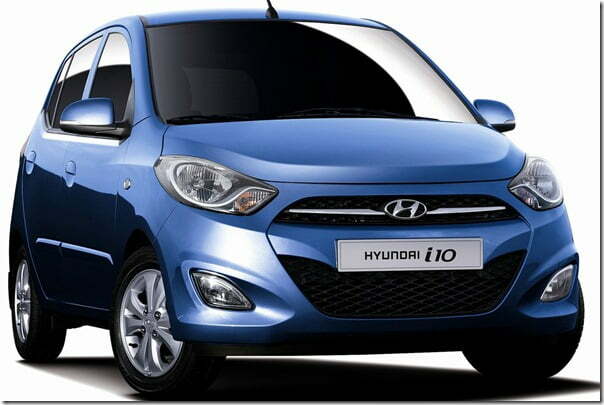 As per the latest news, Hyundai is planning to introduce its entire diesel engine range for the domestic market. Since the demand for diesel engines is soaring in India and considering the tough competition being coming from Maruti Suzuki, the brand has kept the diesel line-up plan on top priority. The manufacturer is also setting up a new facility in India after the completion of which it will be able to produce diesel engines. But the manufacturer is also confused about its diesel engine plant decision due to the fact that the government’s decision on whether excise duty on diesel vehicles is to be increased or not, is still pending. Definitely the manufacturer wants to add more diesel engines to its line-up and is keen on offering i10 with a diesel engine. At present Hyundai sells i10 diesel in Europe with a 1.1 litre unit which the company can bring to India if the requirement is there, said Mr. Saxena. The firm will not hesitate in bringing the engine but will have to consider some market specific alterations as well the fuel norms in India. Mr. Saxena also cleared all this can only happen once the diesel engine plant becomes operational. If the company does bring the engine to India, it will have a huge advantage over Maruti and we will see some cut throat competition in the diesel category.